0.1ltr Handmade Whisky Still Mini Decanter. The interesting shape of this decanter reflects the traditional stills used in distilling spirits such as whisky. It may hold just a wee dram but its sure to put a large smile onto the face of any recipient. 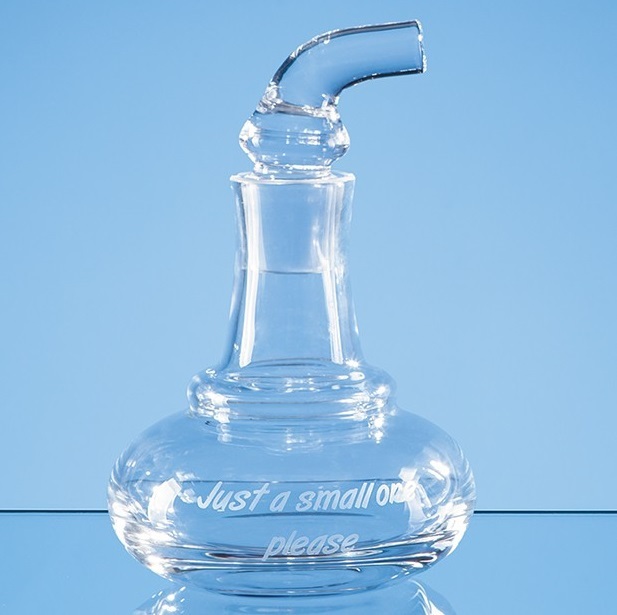 The decanter measures 140mm x 90mm. It weighs 260g unboxed. It can be personalised with any crest, logo or wording to create a unique gift that is sure to be displayed with pride. All engraving has an additional charge as shown.